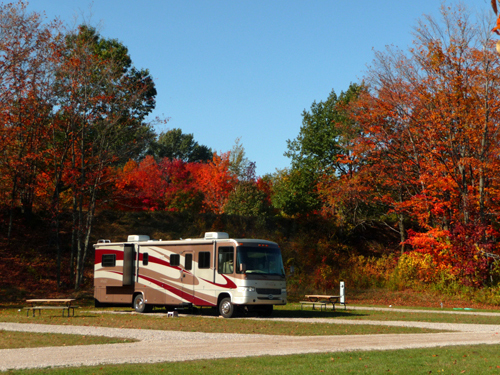 RV park, marina & beach on the shores of Grand Traverse Bay just 25 miles from Traverse City. Full service sites for motorhomes in Omena MI. All sites overlook beautiful beach and Grand Traverse Bay with great views morning, noon and night. Full service motorhome rates for a day, a week, a month or the full six-month season. Send us a message with your questions or to book your site.